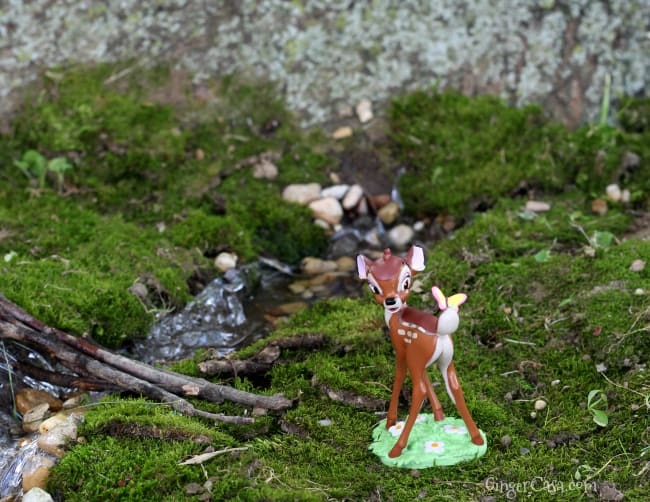 Create A Bambi Fairy Garden - A Fun Outdoor Activity For Kids! 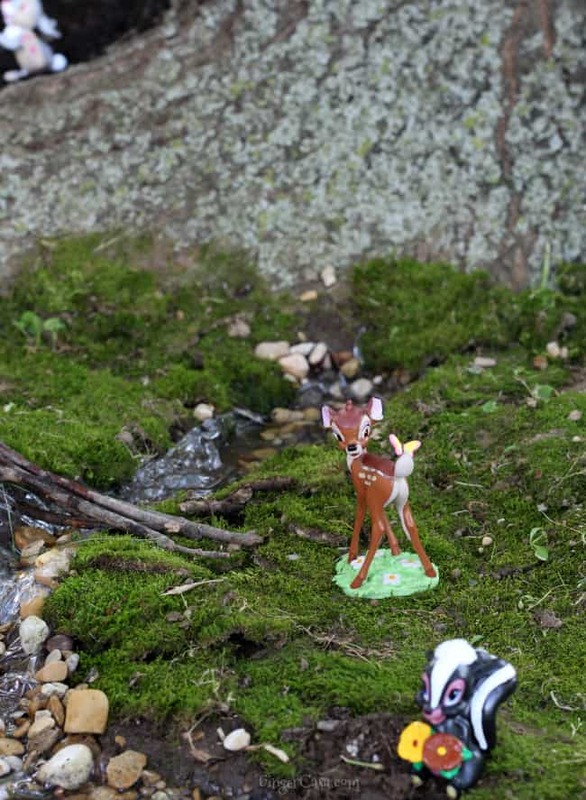 Create A Bambi Fairy Garden – Fun Outdoor Activity For Kids! 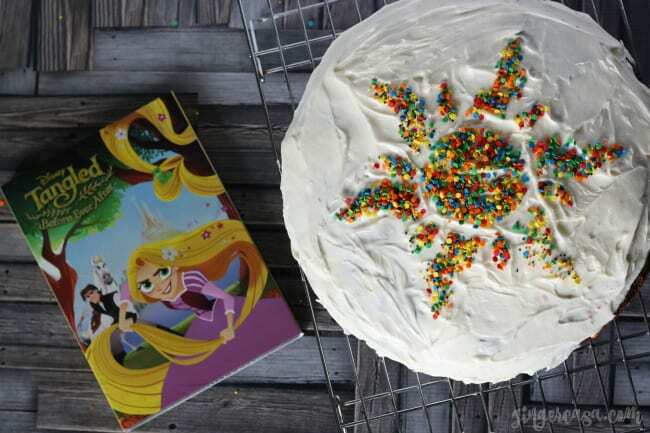 One of my favorite movies from my childhood was Disney's Bambi. 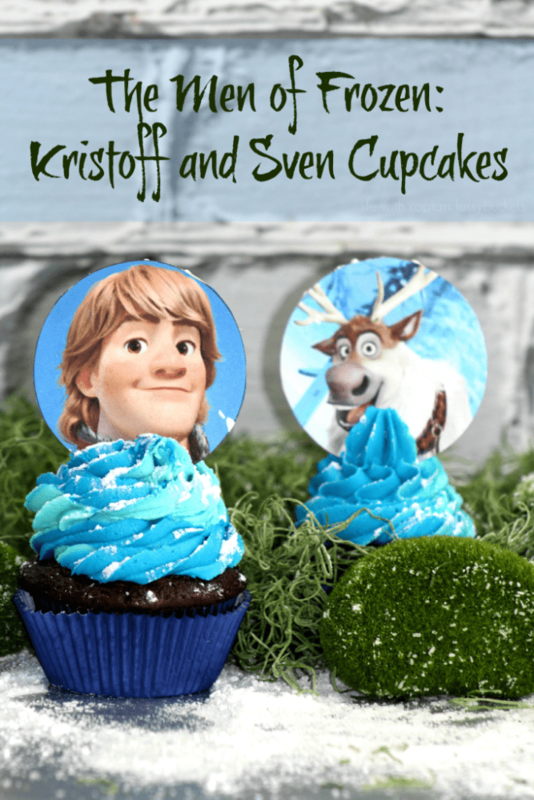 I loved the cute little animal characters and the friendships between them. 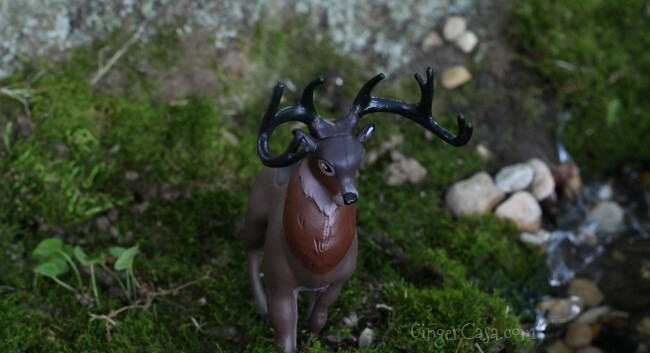 I remember collecting different Bambi figurines from a fast food restaurant…I actually still have a few of them! 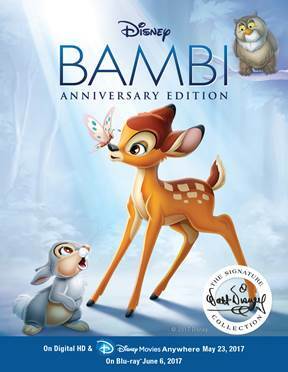 When I heard that Bambi was coming out of the Disney vault and being released on Blu-Ray, I was so excited! 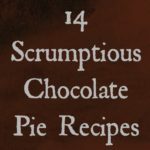 I wanted my boys to share in the joy that I did as a child. 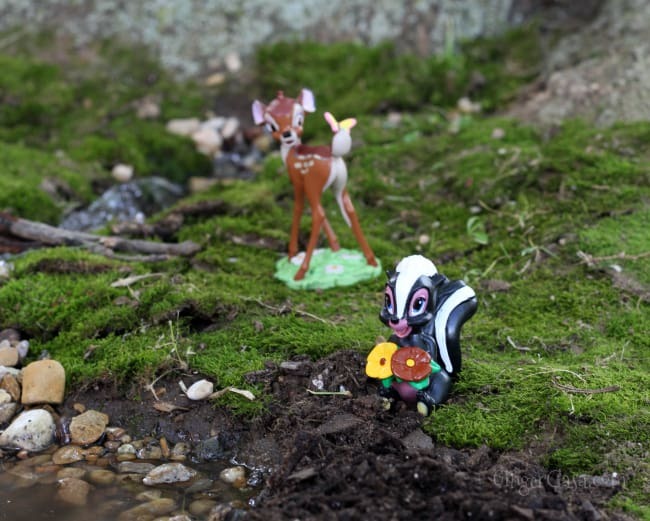 I found some adorable Disney Bambi figures play set on Amazon and teamed up with my little guys to make a Bambi fairy garden! 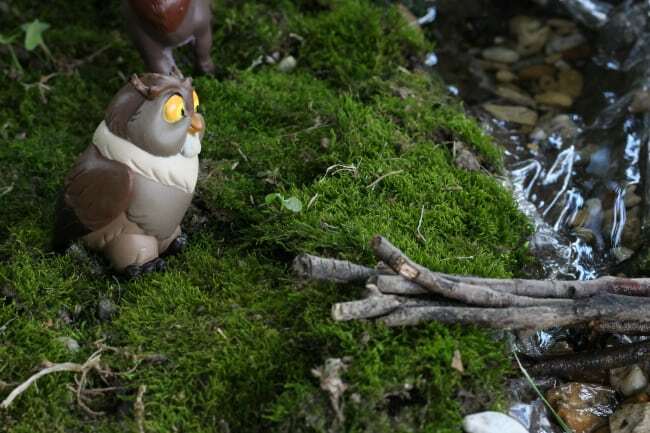 I wanted this fairy garden to be the boys' creation, so I let them roll with their ideas and just helped them along. We have the perfect shady tree, so we decided to make our fairy garden at the base of it. 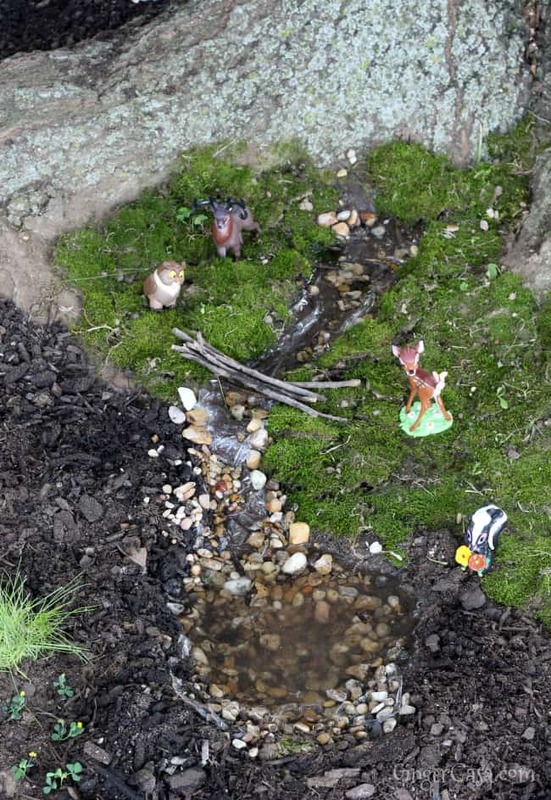 The boys had an idea to make a river and a small pond. They dug out a little area for both. We covered the rest of the area with potting soil and transplanted a few other plants and grasses, as well. For the river and pond, we lined the bottom with plastic wrap and placed pebbles on top. Then, they used sticks for a fun "bridge." 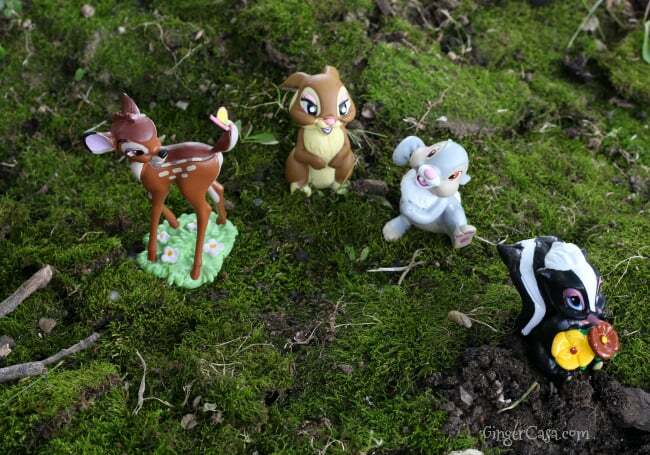 All of Bambi's friends are here in the fairy garden! 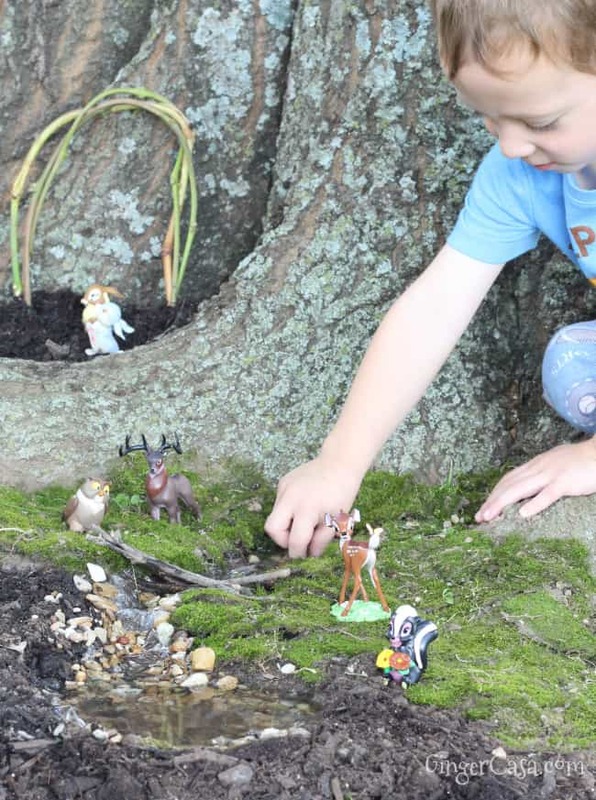 The three year old really had fun with the different Bambi characters and our new forest fairy garden!